Fifteen price increase announcements and numerous supply reductions by paper companies over six and a half years did not raise a reasonable inference of a conspiracy to fix prices for containerboard products, the federal district court in Chicago has decided. In light of a competing inference of lawful behavior, the "wealth of evidence" offered by the complaining containerboard purchasers did not "point unerringly to express collusion." Thus, the last two remaining defendants in the case—Georgia-Pacific LLC and Westrock CP, LLC (formerly known as Smurfit-Stone Container Corporation)—were entitled to summary judgment (Kleen Products LLC v. International Paper Co., August 3, 2017, Leinenweber, H.). 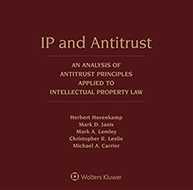 The court noted that it was not a violation of antitrust law for a firm to raise its price, counting on its competitors to do likewise. It suggested that the paper companies gambled on a follow-the-leader strategy with respect to price announcements and capacity cuts and that "the gamble paid off." Earlier settlements left Georgia-Pacific and Westrock as the only non-settling defendants in the case. International Paper Company, Temple-Inland Inc., Temple-Inland LLC, TIN Inc., and Weyerhaeuser Company recently sought approval of a $354 million settlement agreement in the matter. Other defendants previously settled the claims. Class certification. At the outset, the court ruled that the Seventh Circuit's decision to affirm class certification in the matter did not mean that the case was strong enough to bypass summary judgment and be submitted to a jury. Whether the case was meritorious enough to go to a jury was not relevant to determining whether the Federal Rule of Civil Procedure 23 prerequisites for class certification were satisfied. 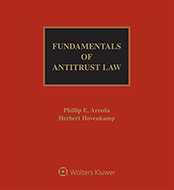 The district court noted that the appellate court said little about the substance of antitrust law, except as that body of law related to the class certification issues. Evidence of conspiracy. There was no direct evidence of a conspiracy. Thus, circumstantial evidence would decide the long-running case. The complaining purchasers attempted to rely on parallel conduct by the oligopolists in a concentrated industry, including actions that were purportedly contrary to the defendants’ independent self-interest, such as raising prices during the Great Recession. The court was unconvinced. To prevail at summary judgment, the plaintiffs had to offer evidence that tended to rule out both that the defendants acted independently as price-taking firms and that they acted interdependently as oligopolies. Lawful independent actions subsume oligopolistic interdependent behavior, the court said. The court identified four categories of economic evidence that the plaintiffs said supported an inference of conspiracy. These were: the market structure of the containerboard industry; "lockstep" price increases; accompanying supply reductions; and the defendants’ actions purportedly taken against self-interest. This economic evidence was not sufficient to permit a reasonable jury to conclude that the defendants worked together to fix prices, in the court's view. The court noted that a concentrated containerboard industry conducive to collusion was a "double-edged sword" for the plaintiffs. 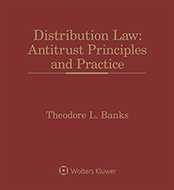 "The industry features that Plaintiffs rely on to make out their case for an antitrust violation also provide Defendants with a ready-made defense that they did not break the law," it was noted. As for the alleged "lockstep" price increases, the court said that the frequent failures the defendants experienced in trying to hike prices made the inference that the defendants engaged in coordinated action less reasonable. Moreover, the parallel price increases appeared to be in line with historic behavior. With respect to production cuts, there was no evidence that Georgia-Pacific or Westrock restricted supply by closing any paper mill or by other means within the relevant time period. According to the court, the plaintiffs’ failure to make a case allowing for a reasonable inference that the defendants restricted supply to facilitate their price fixing scheme was near fatal to their conspiracy claim. Other alleged actions against self-interest also failed to tip the scale. In addition, the court examined what it called non-economic evidence of an agreement, such as opportunities to collude, actions indicating that the opportunities were seized, and the defendants’ own allegedly incriminating statements. The non-settling defendants’ trade association attendance and pricing behavior did not suggest conspiracy. The public price announcements that followed where the defendants allegedly signaled to their co-conspirators and used analysts as conduits for their messages did not "transmogrify" the talks into conspiracy, the court decided. Lastly, the words of the company executives themselves did not allow for an inference of conspiracy. The court also considered the evidence that was missing from the case. Focusing on the fact that there was no evidence of a punishment mechanism and no evidence that a defendant was punished for deviating from the conspiracy, the court said that the missing information caused the case to fall even further from the mark necessary to survive summary judgment. The case demonstrated the difficulty of attempting "to prove illegal collusion without witnesses to an agreement." The court noted in closing that the Sherman Act did not require rivals to compete vigorously. The case is No. 10 C 5711. Attorneys: Heidi M. Silton (Lockridge Grindal Nauen P.L.L.P. ), Amelia Igo Pelly Frenkel (Kellogg, Hansen, Todd, Figel & Frederick, P.L.L.C.) and Amy Thomas Brantly (Kesselman Brantly Stockinger LLP) for Kleen Products LLC. James T. McKeown (Foley & Lardner LLP) and Amber D. Floyd (Wyatt, Tarrant & Combs, LLP) for International Paper. Scott M. Mendel (K&L Gates LLP) for Norampac Industries Inc. Michelle S. Lowery (McDermott, Will & Emery LLP) for Weyerhaeuser Co. Rakesh Nageswar Kilaru (Wilkinson Walsh + Eskovitz LLP) for Georgia-Pacific LLC. James Franklin Herbison (Winston & Strawn LLP) for WestRock CP, LLC.